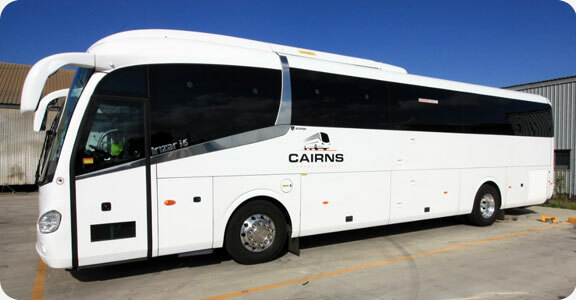 Cairns Luxury Coaches welcomes you to the city of Cairns. Home to the only two World Heritage protected sites that are next to each other, the Great Barrier Reef, and the Daintree Rainforest. With this much diversity occurring naturally it is no surprise that this once sleepy coastal town has grown and attracts visitors from all over the world. Our tour guides are locals and have an exceptional level of knowledge of Cairns and the surrounding areas. We take a concierge style approach with all of our clients to find the best possible option for every charter. We will help you plan every detail of your transport needs, and take the time to ask you questions so everything runs smoothly. Select How We Move You? Wooroonooran National Park. We can assist with a customized tour for your group, Our team will assist you from Meeting you to Dropping you back, we go out of our way to service your requirements. Our tour guides are locals and have an exceptional level of knowledge of Cairns and the surrounding areas. We take a concierge style approach with all of our clients to find the best possible option for every charter. We will help you plan every detail of your transport needs, and take the time to ask you questions so everything runs smoothly. At Cairns Luxury Coaches, we provide transfers to Turtle Cove Resort AUSTRALIA'S ONLY LGBTI ADULT RESORT which is the world's number one, exclusive, adults only, gay resort in Far North Queensland. Perfect for larger group touring or school camps and excursions. Comfortable, high back seating and air conditioning for relaxed long or short term travel. Need to travel longer distances? Our Scania 49 seater with toilet and air conditioning is our latest addition to the fleet and idea for Tableland runs and longer charters. Our 27 seat coaster is suited to Cairns airport shuttle runs, transport to Kuranda railway and other tourist attractions throughout the northern beaches and any other location you hire us. Call today to make your reservation. Over the past 10 years Cairns Luxury Coaches has earned the reputation for exceptional service especially when it comes to custom charters. Our knowledgeable, friendly team provide the backbone for this extra level of service which keeps clients returning year after year. We specialise in private bus charter for local businesses, schools, social groups, Weddings / conference transfers inbound travel agents, and the local community.